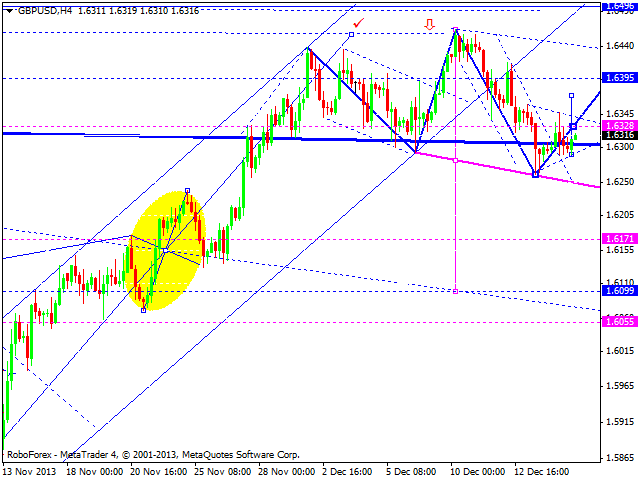 Euro is still moving inside consolidation channel; market is forming ascending structure to reach level of 1.3838. 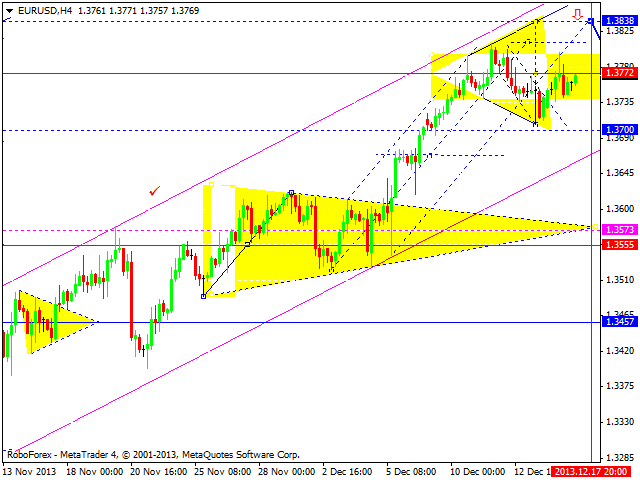 We think, today price may start new correction with target at 1.3700 (minimum) or even 1.355 (maximum). We should note, that at daily chart this ascending wave is strong enough to reach level; of 1.4100 without any correctional structures. Pound continues moving upwards to reach 1.6400. After reaching this target, pair may start new descending correction towards 1.6070 and then continue forming ascending wave to reach 1.7150. Franc is still consolidating. We think, today price may continue falling down to reach new minimum and level of 0.8820 and then form new ascending structure to return to 0.8960. Later, in our opinion, pair may continue falling down. 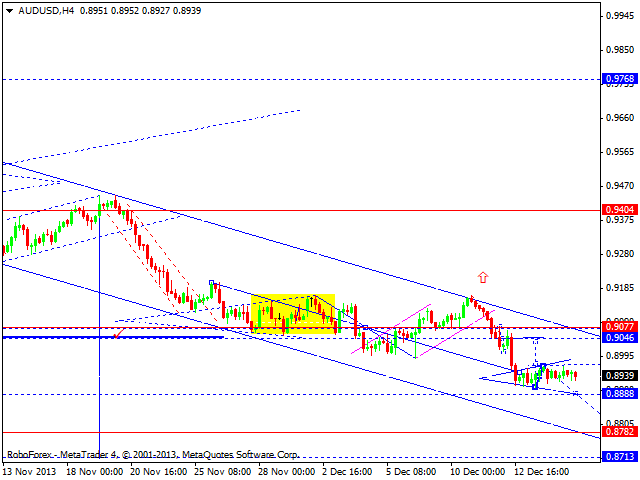 If market rebounds from level of 0.8867 and reaches new minimum, down- trend will continue towards level of 0.8300. Yen continues forming narrow consolidation channel. 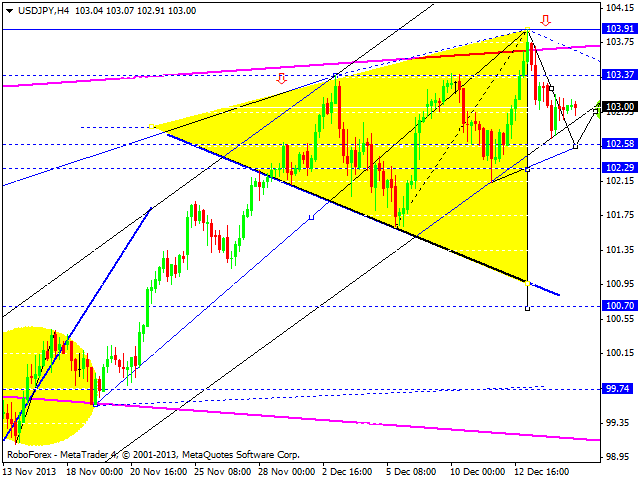 We think, today price may fall down to reach level of 102.58 and then return to 103.37. Later, in our opinion, downtrend may continue; closest target is at 100.70. 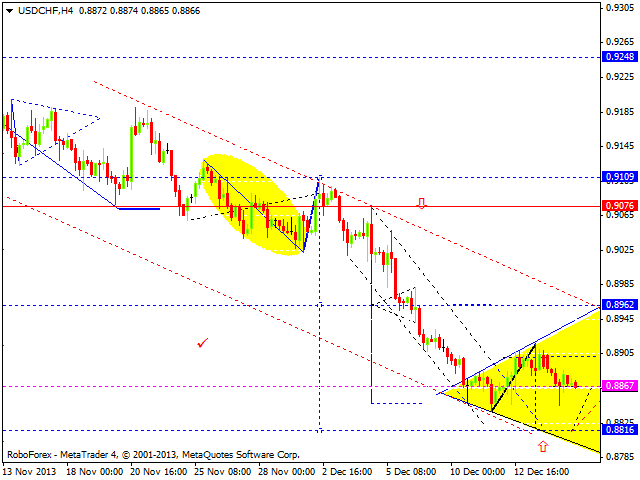 Australian Dollar is still moving inside narrow consolidation channel. Market is not able to form any ascending impulses for new correction, which means that down trend may continue and reach level of 0.8720. Only after reaching it, pair may start correction. 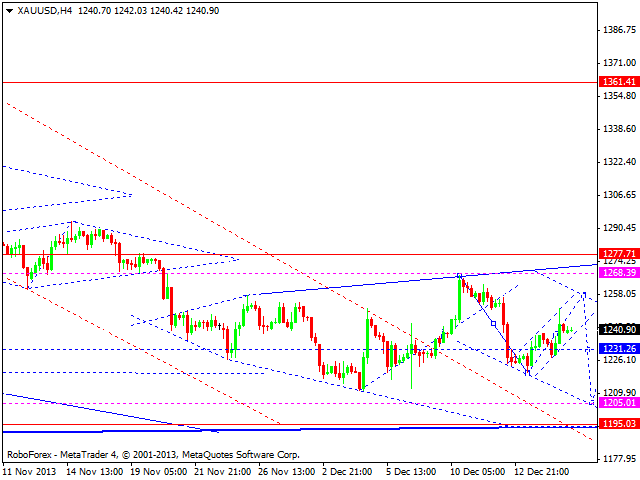 Gold continues moving upwards slowly. We think, today price may complete ascending structure towards level of 1257. This structure may be considered as correctional one. Later, in our opinion, instrument may continue falling down to reach 1195.